In theory, it is always so simple. For China, it was intended that RRR cuts are stimulus. 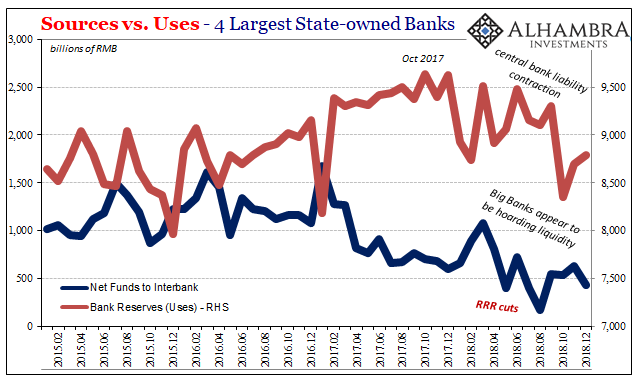 By allowing banks to use more of the reserves they’ve built up over the years it is meant to add to overall interbank liquidity. From there, banks flush with RMB supported by robust RMB money markets will lend and undertake more direct economic transactions. The theory gets complicated by a very different kind of reality, one which pressures RMB markets from two sides. The first is the direct result of the overriding issue. 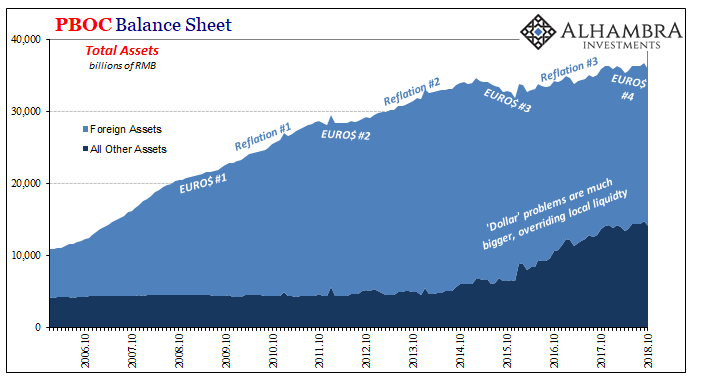 The eurodollar market malfunctions, forcing China to deal with a “dollar” shortage by having its central bank (and others) intervene out of its own stockpile of FX reserves. Simple accounting, the PBOC’s asset side shrinks which must be met by the same on the money side. So, RRR cuts already begin from inside a domestic monetary hole. 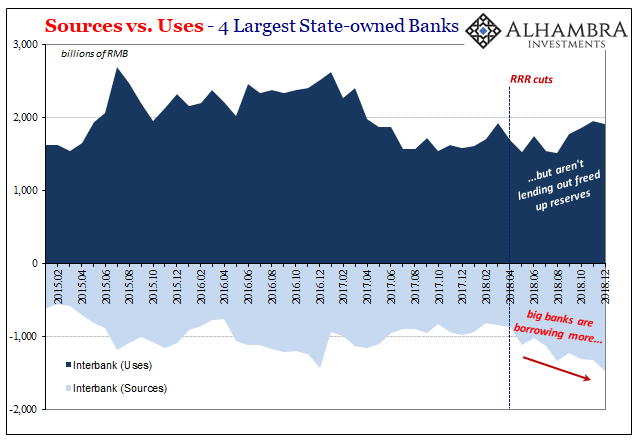 To even get to the position of adding liquidity, banks have to mobilize more of their reserves than the central bank has pulled back in its own. The second liquidity problem is just that: banks have to mobilize meaning actually use more of their reserves. The Economics textbook simply says that if given the opportunity no bank will refuse the license. Policy says, bank books do. In theory. In practice, banks have to operate in the real world. If the PBOC is in a situation already where it feels compelled to respond to less-than-ideal effective conditions via an RRR cut perhaps it really isn’t a conducive time for banks to be so generous? Reserve operations of this type don’t usually happen unless things are already dicey, a factor bank managers are going to be pretty well aware. Therefore, RRR cuts may not lead to the flood of non-public liquidity the theory assigns. Chinese banks, especially the biggest institutions, may opt to hoard that liquidity instead. If they do, then RRR measures cannot be stimulus especially having begun at first in the central bank hole. When Chinese banks hoard, obviously nothing good will result. 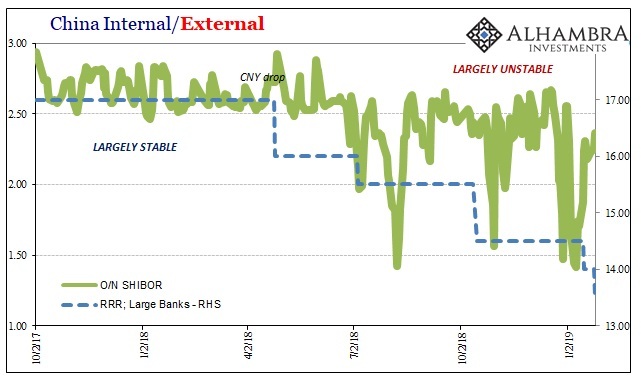 The illiquidity is not contained within China’s borders, either, as these kinds of financial irregularities flow into the real Chinese economy and are then transported to the rest of the world (further amplified by more negative feedbacks in the eurodollar system). This was Euro$ #3’s devastating global downturn story of 2015 and early 2016. We are on the lookout for evidence of China bank hoarding so as to figure a possible repeat here well within Euro$ #4. From the very first we see just that sort of difficulty in real-time market prices, in this case SHIBOR and other RMB money rates. The correlation is ridiculously obvious; RRR cuts have unleashed volatility and instability rather than what would look like monetary stimulus. Chinese banking statistics back up the negative association – with an added wrinkle (more on that below). Since the first 2018 RRR cut back in April last year, the big banks aren’t really lending more in the unsecured interbank markets. They are, however, borrowing more from them; a lot more. The difference is almost surely the reason for harmful volatility in domestic money. The biggest banks are draining liquidity (net) from unsecured RMB rather than contributing more to them.  The relationship with volatility in SHIBOR is established. 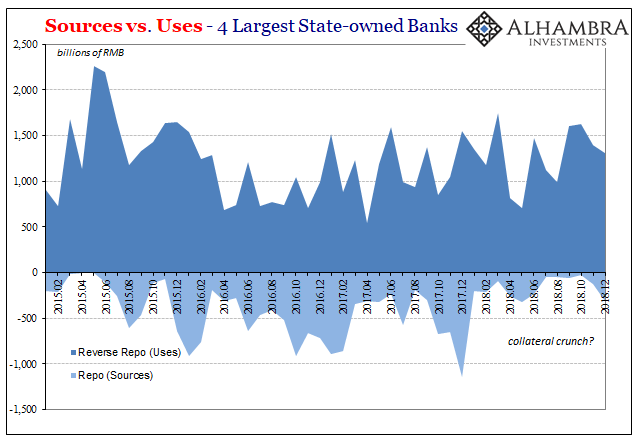 The primary reason is equally evident: this is the same period in which bank reserves have been declining. 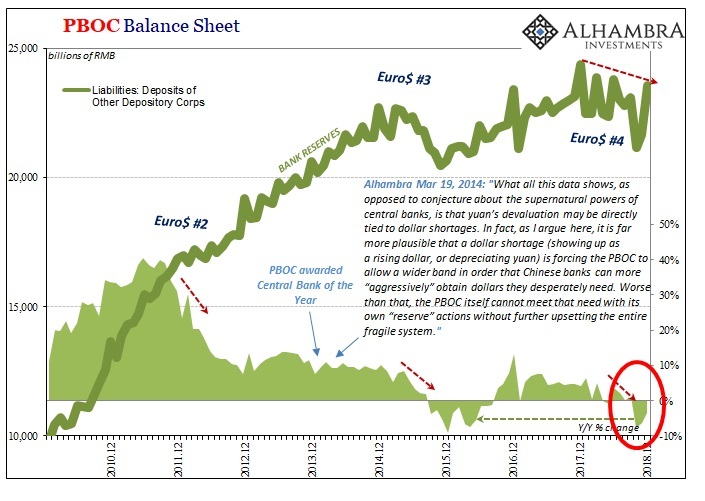 The PBOC’s eurodollar squeeze leading to the systemic limit on its money (liability) side is being echoed by the majority of the domestic banking sector. Without a liquidity cushion either in that money remainder (growing bank reserves) or in terms of robust central bank RMB expansion at its liquidity windows (such as MLF) there just isn’t any appetite for banks to add anything to these crucial interbank spaces. The wrinkle in all this is repo. We know why the biggest institutions are borrowing more unsecured – they are barely borrowing (sources) in repo! 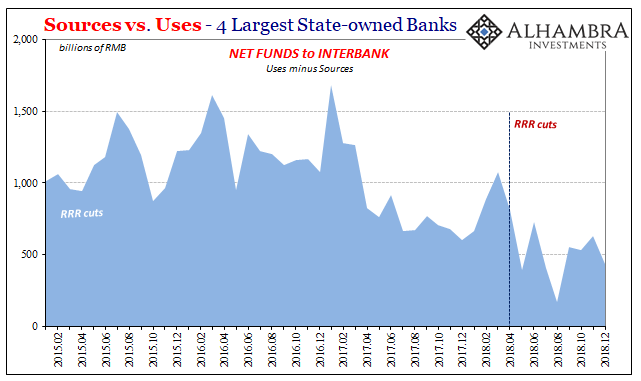 Depending more and more on unsecured interbank transactions instead of the repo market, you can start to appreciate why these particular banks are perhaps more than a little skittish no matter what policy the PBOC might undertake. If conditions worsen in China, more economic slowing and therefore higher perceived overall risk, being reliant in greater proportion on unsecured markets for so much marginal funding isn’t an ideal liquidity situation. To put it mildly. The question is why they aren’t in repo. It may be that China’s authorities told us last month when they began to really champion the issuance of perpetual bonds to be used along with the central bank bill swap. 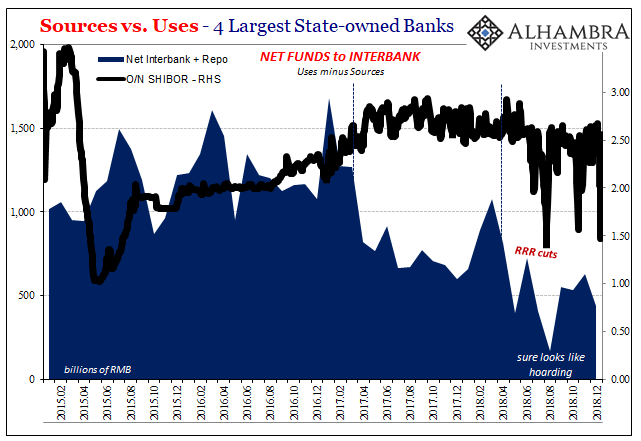 It certainly seems to fall in line with what we see here; if the big banks are in a collateral crunch, why not just create collateral out of thin air (first the perpetual and then the swap into usable repo instruments). To circumvent these technical deficiencies, the PBOC will allow banks who issue perpetual bonds to swap them with its own holdings of central government debt bills which they can then use either in private repo or even in targeted MLF at that particular monetary policy window. This data can’t, unfortunately, tell us why a collateral crunch seems to have developed. Such a negative outcome would further explain the hoarding of liquidity along with the greater desperation on the part of monetary authorities – escalating official responses that don’t seem to get anywhere. China’s money hole across a couple dimensions seems to be bigger than we already think. It is, as Abraham Lincoln once said, the equivalent of shoveling fleas across a barnyard; not half of them get there. “There” being RMB liquidity. 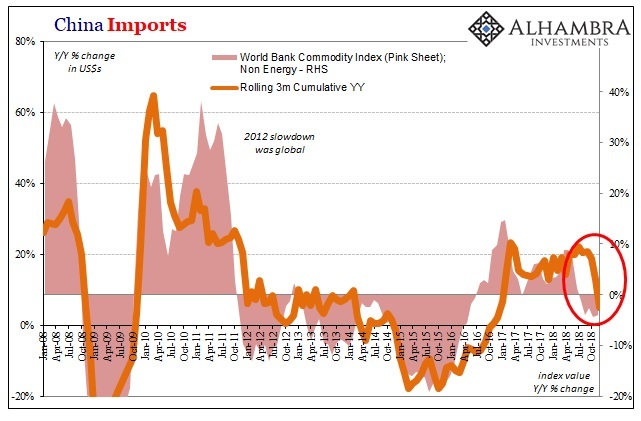 This isn’t monetary stimulus indicated here, hoarding is instead, a huge and growing monetary deficiency which seems to be squeezing the Chinese economy. Again.